Photo courtesy of Emily Suzanne Photography. The mustachioed skulls, the ginger beard, the reclaimed wood. 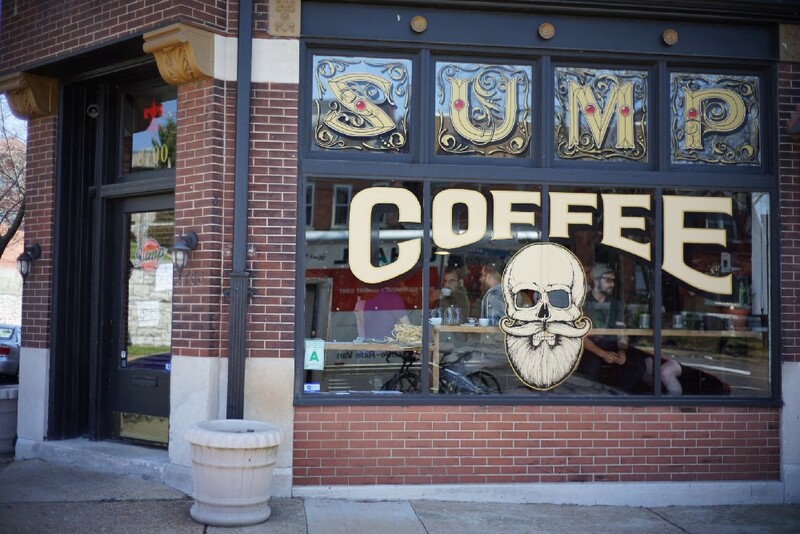 It would be easy, but callous, to dismiss Sump Coffee or Scott Carey as “hipster.” Look more closely, and in every detail a passion becomes apparent. An earnestness. Intention. Carey was a clean-shaven, suit-wearing lawyer in New York City when his brother, Jeff — a hands-on contractor, a craftsman — was diagnosed with cancer. Carey left his job and moved to St. Louis to be with Jeff, and they decided to buy and renovate a building near the treatment center, creating a place to stay and a project. Before construction began, Jeff passed away. Left with a building and his brother’s tools, Carey paused and took stock. “There was this idea that I wanted to do something intentional. I wanted to do something I could understand very clearly in my mind,” said Carey, speaking from the shop on Jefferson Avenue. Because neither he nor his girlfriend, Marz Yamaguchi, a former graphic designer at Rockstar Video Games, came from coffee backgrounds — aside from a long appreciation for a good cup, ignited by Ninth Street Espresso in the early aughts, in Carey’s case — they were able to start “from whole cloth,” says Carey, which helped them avoid a lot group-think, or the expected ways of proceeding. Which includes encouraging others to take a little time for themselves. “People, at the end of the day, can go home and have a nice glass of wine, or a nice craft beer. But there’s no place for that in the beginning part of the day. … If you’re like, ‘I just need something quick. I need to wake up my brain, I need to keep going.’ To me, you’re not gifting yourself anything. If you’re going to spend $5 for coffee, you should gift yourself an elevated experience. Not just in having a quality coffee, but in having it in an environment with intention. 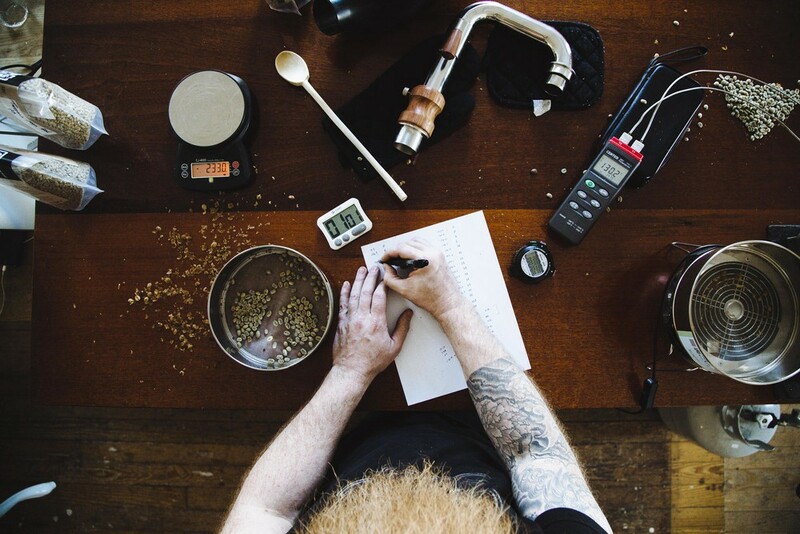 When it comes to selecting coffees, Carey concedes he has an approach, though he insists it’s far from singular. 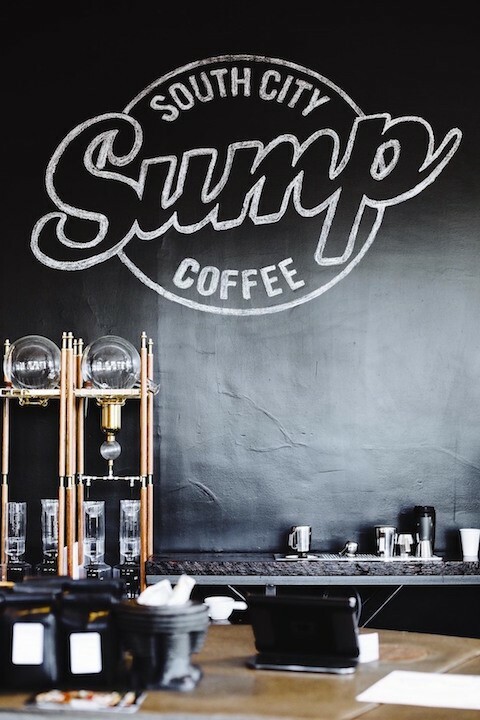 Photo courtesy of Sump Coffee. He tells a story about beicong young and knowing nothing about wine, and going to a winery, where someone lined up a few glasses and gave him the tools he needed to begin really experiencing wine. “Not every coffee out there is going to be for everybody, but … like a good sommelier will, you can help someone find the cup they’re looking for. … Some people will say, ‘I like strong coffee. I like bold coffee.’ What they’re really saying is they like dark-roasted coffee. What we want to do is give them the tools to articulate the experience they’re looking for. Then offer them a bridge to understand a bit more breadth into the landscape of what’s possible in coffee,” Carey continues. Which isn’t to say he’s got it all figured out. “I don’t know that we got it right five years ago, and I don’t know if we have it right now,” says Carey. 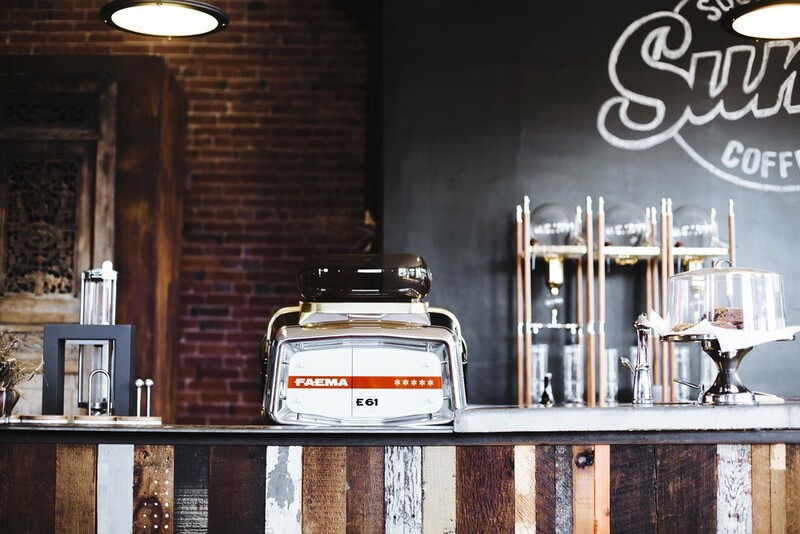 This article is part of our Roaster Life series, which has included conversations with roasters from Lamplighter Coffee, City of Saints and Coma Coffee.